Little did Ng Ka-leung knew back in 2015 when he was producing the omnibus “Ten Years”, of the impact his film would have, both as a separate entity and, as of now, as a project that has Thailand, Japan and Taiwan producing their own editions of the movie, following in the steps of the original Hong Kong one. This time, we will deal with the Thai one, which is comprised of four segments that implement an approach much more surrealistic than the original one. Aditya Assarat’s “Sunset” deals with censorship, in a world where the concept has been fully accepted by the public, and is actually implemented by a kind of a thought police. Assarat shows the ridiculousness of the concept, by having the people in charge forcing the gallery owner to take some photos down for a truly mundane reason. The mistrust towards foreigners is also presented, although the director also seems to present the other side, of the people in charge of censorship, through the concept of the “romance” between a driver and a gallery employee. The black and white cinematography is quite fitting for a film revolving around a gallery, with Assarat’s approach lingering towards the art-house. Wisit Sasanatieng’s “Catopia” takes a whole new other path, since it is an allegorical, sci-fi film. The story takes place in a future (?) where humanoid cats have taken over the planet, turning humans into preys, with the previously dominant race being almost extinct. The protagonist, however, has managed to survive by tricking the cat-people around him, who actually distinguish race by smell and not by eyesight. In order to stay under the radar though, he has to act against his will, participating in a number of violent acts. Sasanatieng’s allegory is palpable, with him highlighting the fact that in violent, fundamentalist regimes, the difference between the oppressor and the victim is very thin, and that in order to survive such a setting, one has to sink very low. The film also functions as a thriller, particular during the ending, in an element that adds to the entertainment the “easiest” segment of the omnibus offers. Chulayarnnon Siriphol’s “Planetarium” on the other hand, is probably the most difficult to embrace since his effort can be described with words such as minimalist, surrealist, kaleidoscopic and abstract, while the images are dominated by a combination of neon lights and motley colors and a visual minimalism that reminded me of the films of Jacques Tati. The story revolves around an absurdly-dressed ruler who has total control over the citizens in the country he rules, to the point that he even controls their actual movement. The comment about the totalitarian regimes is evident as is the mocking of the “thumbs up” generation, but I felt that the context of the film is buried under its visuals and its unusual presentation. Visually, though, it is definitely very interesting. Apichatpong Weerasethakul’s “Song of the City” is shot in Ratchadanussorn park in Khon Kaen, and repeatedly highlights a a statue of Field Marshal Sarit Thanarat, who staged a coup to become prime minister (source: Variety). Weerasethakul’s approach is one of realism, with him presenting common events of everyday life, with two friends talking and a man trying to convince a woman to buy a rather strange product. The focus on the statue seems to signify how people in the country are accustomed to coup d’etats, with the existence of the statue connecting with the quote by George Orwell, presented in the beginning of the segment: “Who controls the past controls the future. Who controls the present controls the past.” The fact that the story takes place amidst a general reconstruction but the statue remains, presents the answer to the question, “who are the ones that control the present by retaining the past?” Evidently, in order for someone to understand this part, some knowledge of Thai history is required. 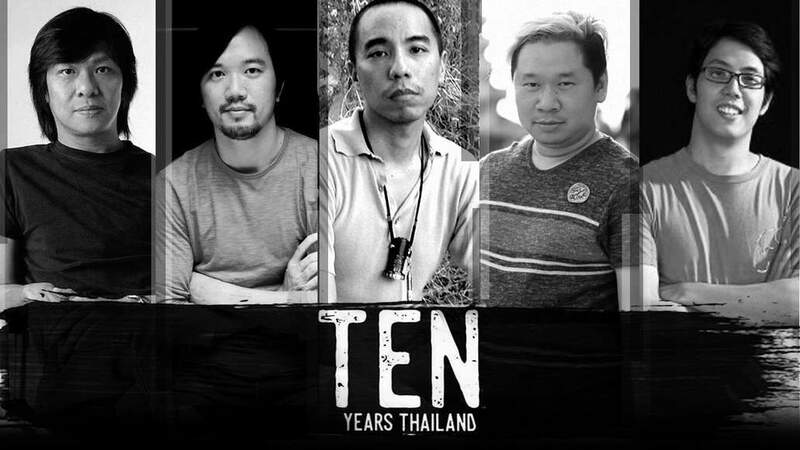 “Ten Years Thailand” is a very interesting omnibus that highlights the agonies for both the past and the future of the country, although the approach particularly the last two segments implement may alienate many of its viewers. This element is toned down by the second segment, which is the most approachable. On the other hand, one could say that the collection includes films for every taste (romance, sci fi, surrealism, art-house etc).